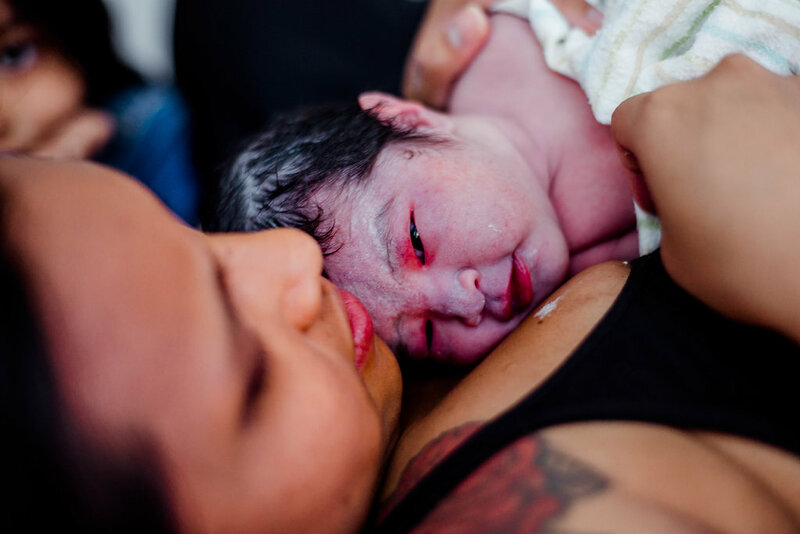 Your midwives arrive once active labor begins (or sooner if you’d like her by your side beforehand). 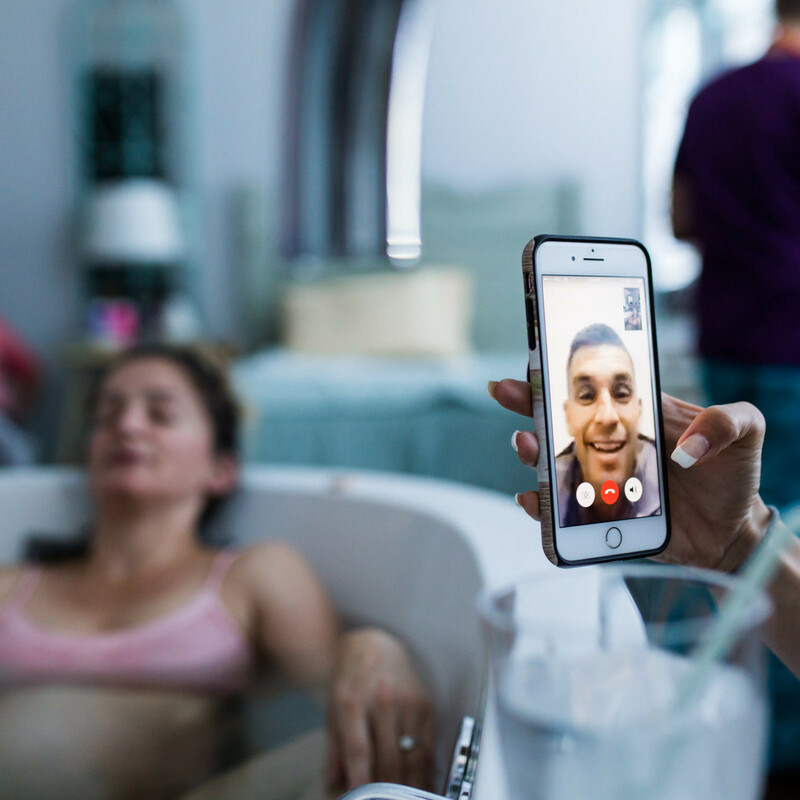 At your home or the birth center she will monitor your vital signs and the progress of labor as well as the baby’s heartbeat and general well being. Your midwife will insure that you receive adequate nourishment and hydration throughout your labor. She will also encourage a variety of positions for you to try throughout, as well as provide support, guidance, respect, reassurance and encouragement. She will set up all the necessary supplies for the delivery of your baby. 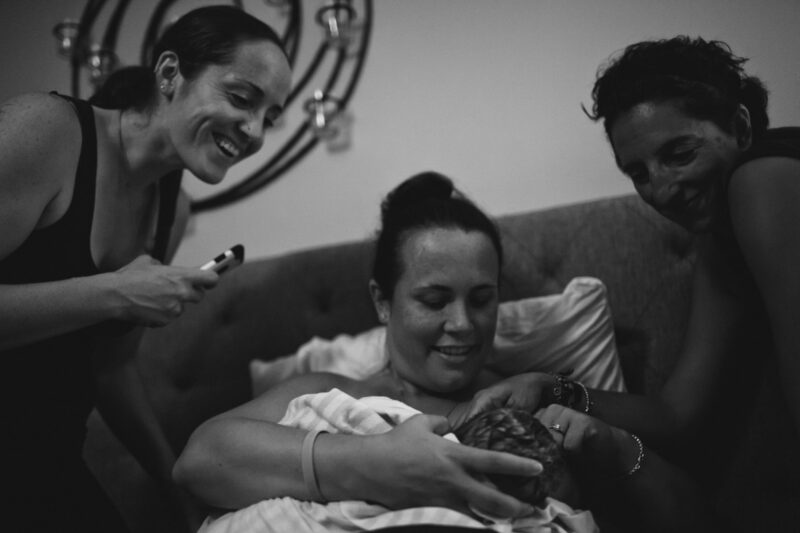 When you begin feeling the urge to push and the baby is ready to come down, you will be encouraged to follow your own body’s cues on when and how to push. 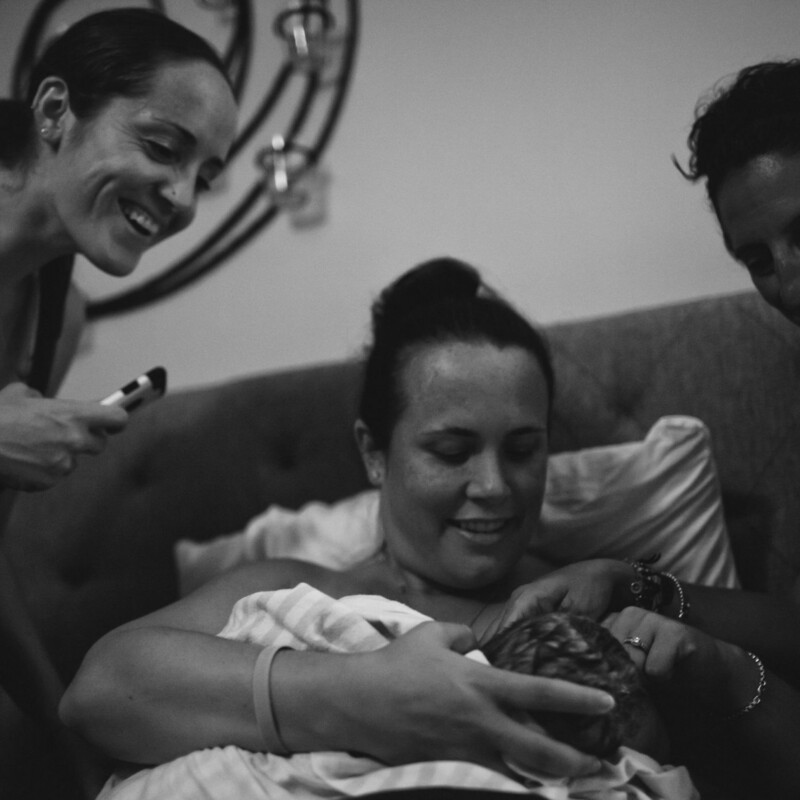 Jamin, Katrina and La Shel are extremely careful and diligent at avoiding perineal tearing and trauma and will work to encourage a slow and gentle emergence of the baby. 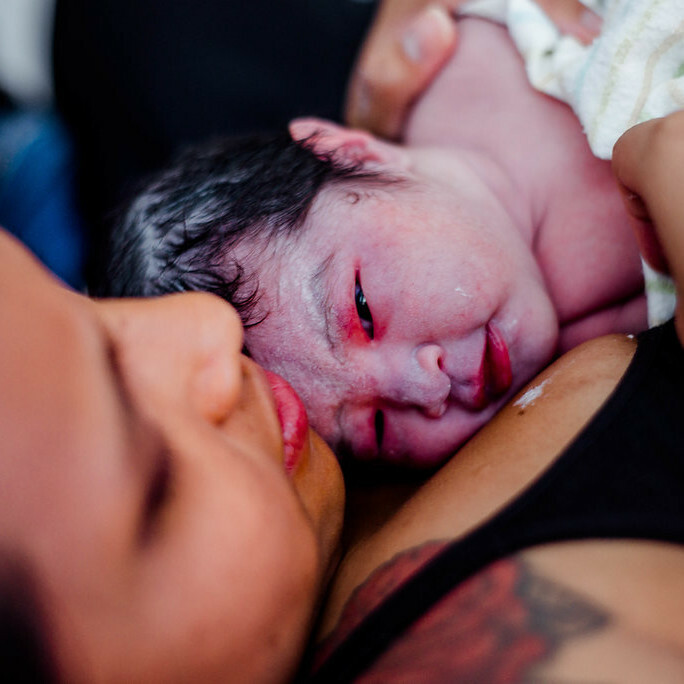 The mother and/or partner are often encouraged to catch the baby or otherwise assist in the birth process. Being involved in this process can be a very empowering experience. 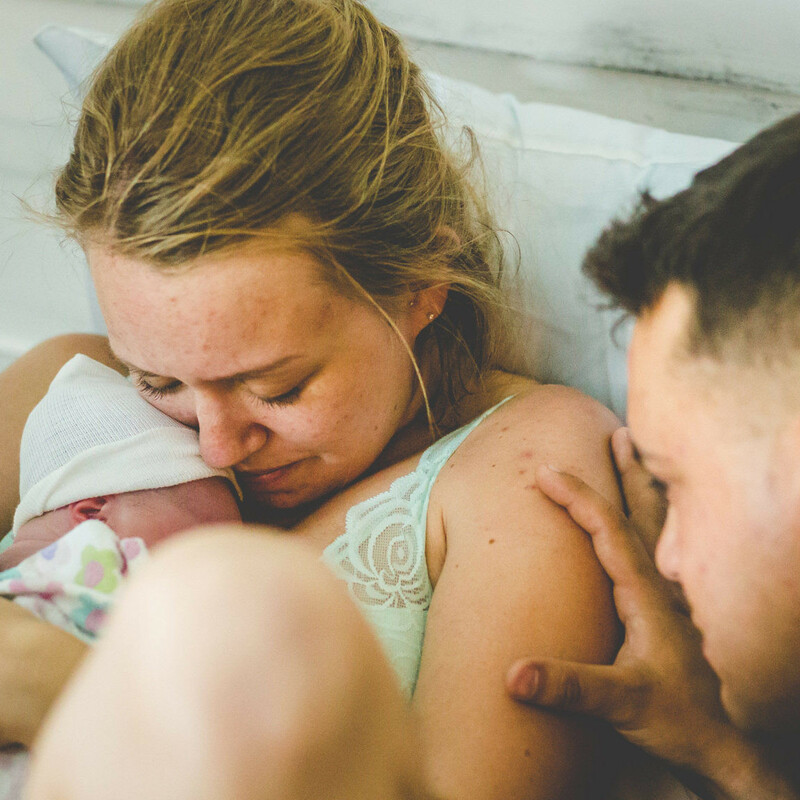 The fact that your baby isn’t being “delivered” by your caregiver often provides a different perspective on the entire birth experience. 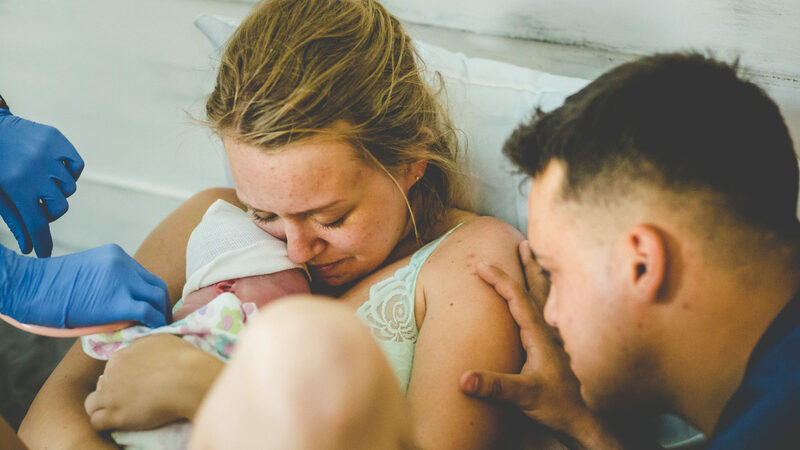 While your midwife is there to provide support and insure the safety of your baby, she does not labor for the mother nor push the baby out – the mother does this critical work! 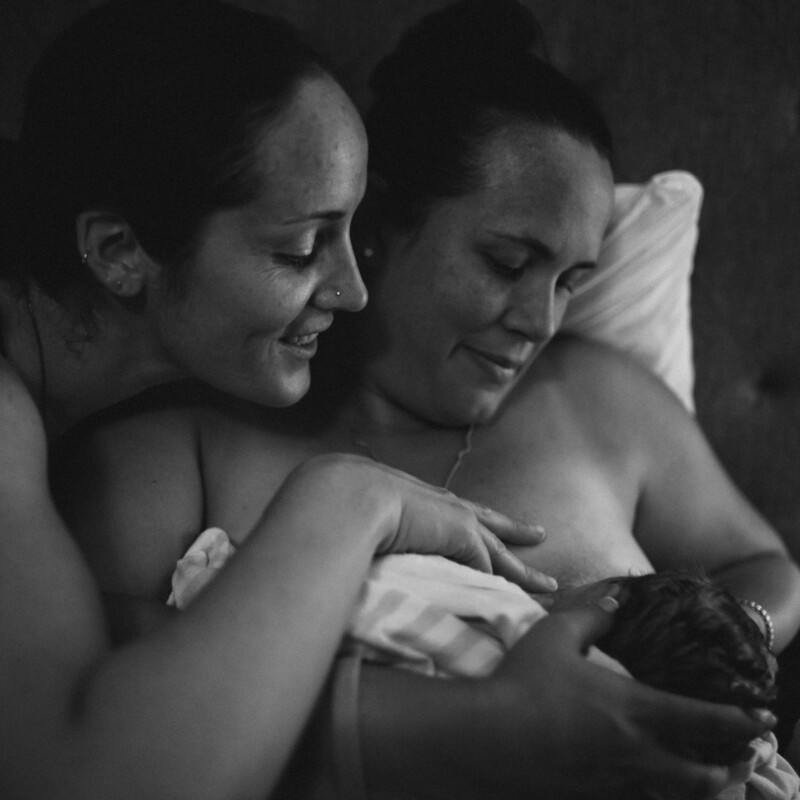 Catching your own baby is a powerful way to affirm the work you have done, the trust you have in your body and the love you feel for your newborn. 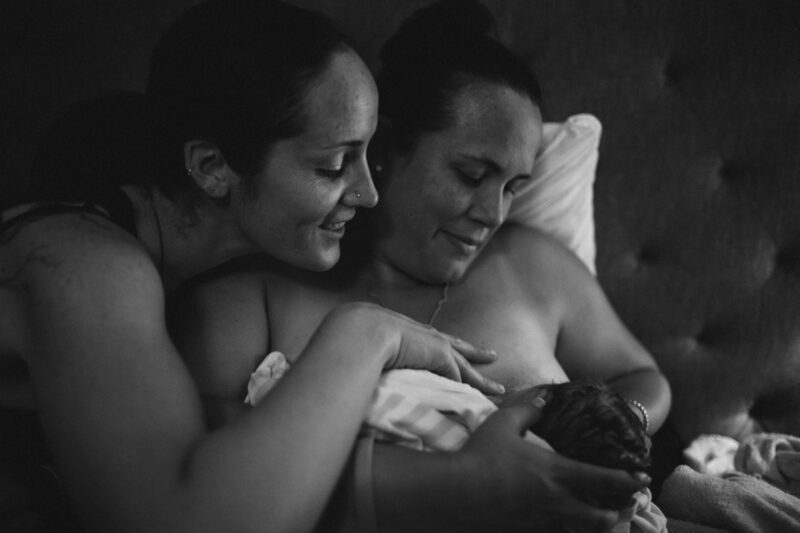 The experience of a partner participating in the birth process can be a great gift and a powerful reminder of the deep connection between the mother, partner and child. 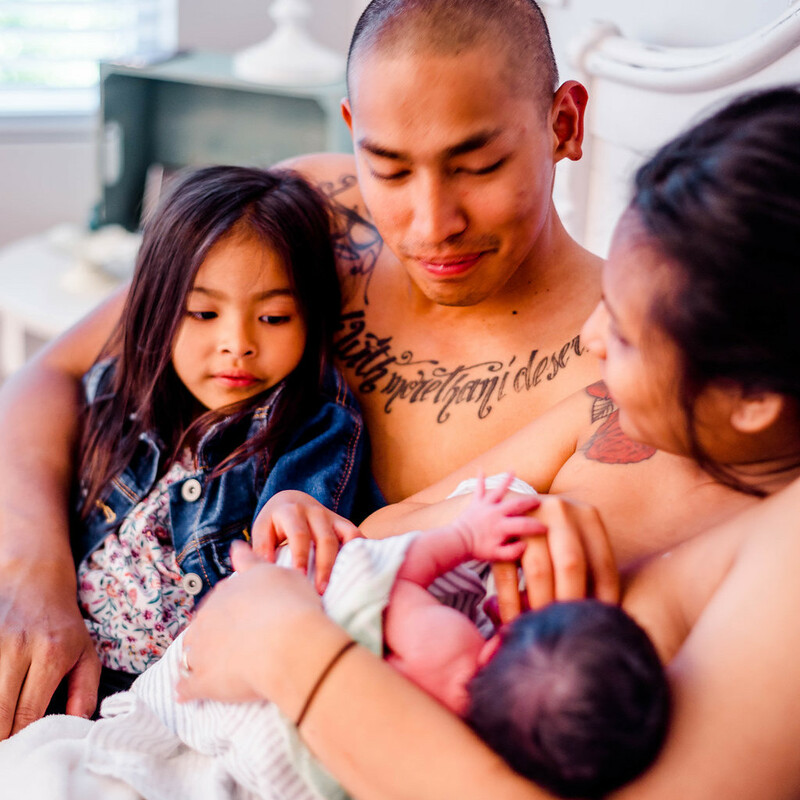 After the delivery of your baby, he or she will be gently placed on your chest. 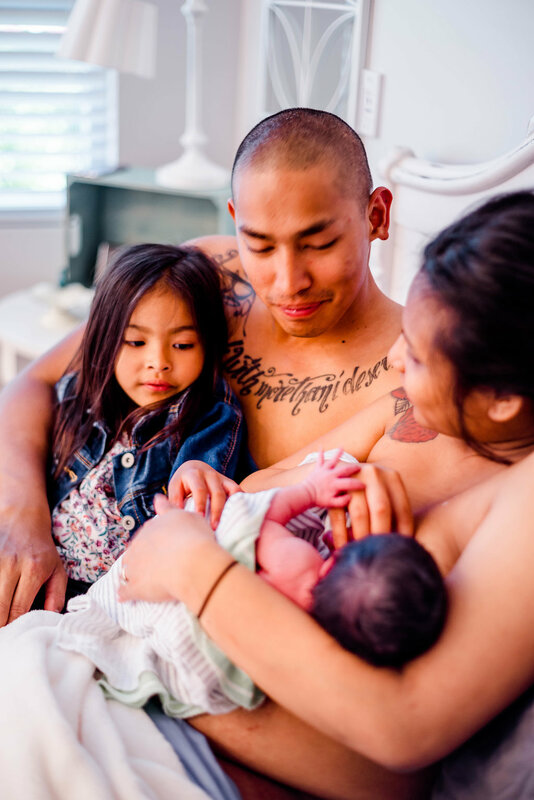 Katrina, Jamin or La Shel will discreetly assess the health and welfare of the baby and take great care to not interfere with the initial bonding between mother, baby and other family members.